Cleaning is considered as the most burdensome and arduous job by many. Dubai residents cannot get enough time for cleaning services as they are busy in their lives. To help them out and reduce their cleaning burden, cleaning companies in Dubai is offering many cleaning services. 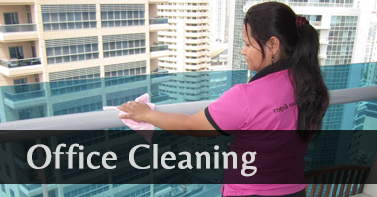 Cleaning companies provide full-time and part-time maid services in Dubai. This has become a great boon to the Dubai residents from tiresome cleaning jobs. 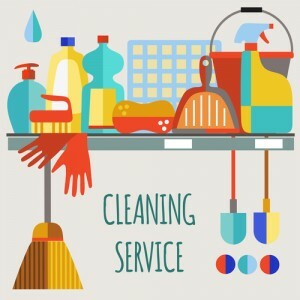 Let’s look at the top cleaning services provided by the cleaning companies in Dubai. Cleaning companies in Dubai help you to relax after a long tiring day at the job. They provide you with the best residential cleaning services in Dubai. Maids from the cleaning company will clean each and every corner of your home. Maids will clean and help you to organize your messy home. They will also assist you to make your home clutter-free. 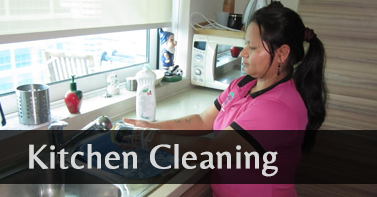 Cleaning companies in Dubai provide exceptional kitchen cleaning services to Dubai residents. Kitchen cleaning services by maids in Dubai will clean your kitchen and keep it hygiene always. Maids will clean kitchen countertops, all electrical appliances, switches, kitchen cupboards, and clean the entire kitchen. It is very important to keep kitchen hygiene as it is the most important place of a home. Doing laundry is the most tiresome job. It is considered as a back-breaking job by many. Maids in Dubai are professional and trained in laundry cleaning services. Laundry service is done with exceptional care. They have special methods for every type of fabric and will not let your clothes bleed. Dry cleaning by maids in Dubai makes sure that clothes are cleaned with perfection and utmost care. Cleaning companies in Dubai provide excellent ironing services. Cleaning companies in Dubai will help to clean not just the residential, but also commercial buildings. A messy office is not a good sign of professionalism. Your client and customers judge you by the appearance of your office. So it is essential to keep your office clean and tidy. Cleaning companies in Dubai will help you to keep your office clean and spotless. Who doesn’t love a party? But arranging, managing and hosting a party is most difficult. To help you to enjoy your own party, cleaning companies in Dubai provides party helpers services. Party helpers provided by cleaning companies are professional, friendly, well-mannered and smart. They will help you to arrange the party and even help you to prepare food. Party helpers also serve at the party and attend your guests. You can enjoy your party as a host while party helpers will do the work for you. Worried about your pet when you are away from your home? Cleaning companies in Dubai provide exceptional pet care services just for your lovely pets. 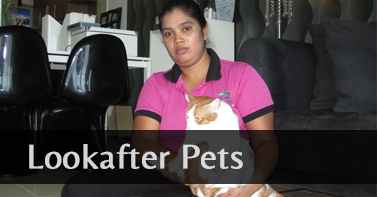 Pet caretakers will take care of your pets in your absence. They will provide your pet with the necessary food and exercises. Not just that, they make sure that your dog is engaged in physical activities. Beautiful windows make beautiful homes. Cleaning companies provide both residential and commercial window cleaning services just for Dubai residents. Constant weathering and dirt can cause damage to your windows. Window cleaning experts from cleaning companies to clean your windows with utmost perfection and bring back the old shine to them. Through these services, cleaning companies in Dubai will take care of all your cleaning needs. They offer these services at affordable rates. Hire Home Maids, the best cleaning company in Dubai, for cleaning services.